Brazil's week just went from bad to worse. The country's Senate voted on Wednesday to impeach President Dilma Rousseff, ending a bitter political fight. The bad news didn't stop there. Brazilian officials announced on Wednesday that the economy's historic recession deepened. In the second quarter, Brazil's economy contracted 3.8%, after shrinking 5.4% in the first three months of the year. It's the longest recession since the 1930s for Brazil, Latin America's largest economy. 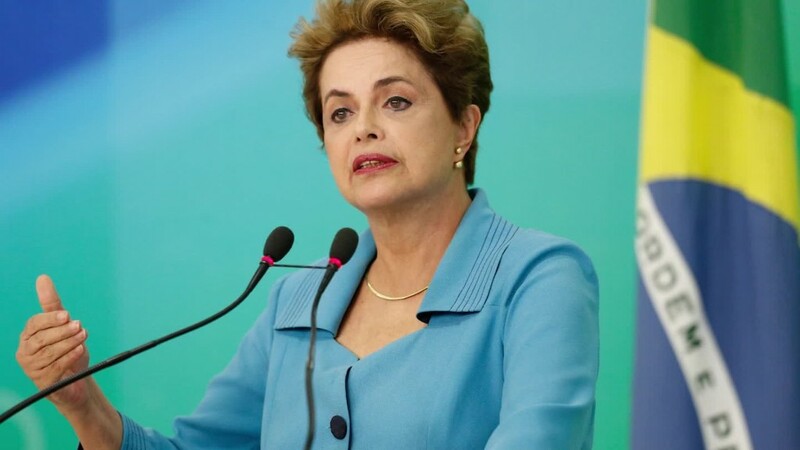 Rousseff was suspended in May after both houses of Brazil's Congress voted to begin the impeachment trial against her. Many considered Wednesday's vote a foregone conclusion. She was accused of messing with Brazil's fiscal budget to make it look better than it was right before Brazil's elections in 2014. It's important to note that some of her critics in Congress have been accused of more serious crimes, such as bribery. During her term as president, Brazil has been embroiled in a much larger corruption scandal at the state-run oil company, Petrobras. A massive bribery ring between Petrobras officials, construction firms and Brazilian politicians has unraveled over two years of investigations which has led to multiple arrests of well-known businessmen and politicians. Although Rousseff hasn't been formally accused of involvement, just about everyone around her has, including former President Luiz Inacio Lula da Silva. The Petrobras scandal helped spark Brazil's recession, along with the steep fall in oil prices and China's slowdown. Brazil exports lots of oil and it depends heavily on demand from China. Brazil's unemployment rate has shot up to 11.6% from 6.8% two years ago. Nearly 12 million people are now unemployed. Rousseff's replacement, interim President Michel Temer, has a long road ahead, experts say. Although economists praise his economic proposals, such as limiting government spending, Temer is deeply unpopular with his constituents. Temer, who was vice president under Rousseff, only has a 14% approval rating, about the same she had at the time of her suspension in May. Three of his cabinet members have already resigned due to corruption allegations. Still, there are signs that Brazil's economy is improving. Consumer and business sentiment have picked up a bit. Its currency, the real, has made gains this year and contractions are becoming smaller.